On the vague assumption that you might not have read our review of the Oppo PM-1Planar Magnetic Headphones here is a recap our review. We wrote “Anyone serious about audio knows that headphones have had a renaissance recently. Despite fancy plastic, flat cables, and prices based on endorsements by current music stars, most headphones are more alike than they are different. Headphones come in a few basic varieties; the most common is the dynamic design, which is really just a small traditional speaker – easy to make, capable of punchy sound, and strong bass, but essentially a piston that pushes sound. The next variety is known as electrostatic. It is much more esoteric, and uses a special transformer to charge a metallic film. The sound produced is often wonderful, but very expensive, and suitable only for desktop use due to the transformer. 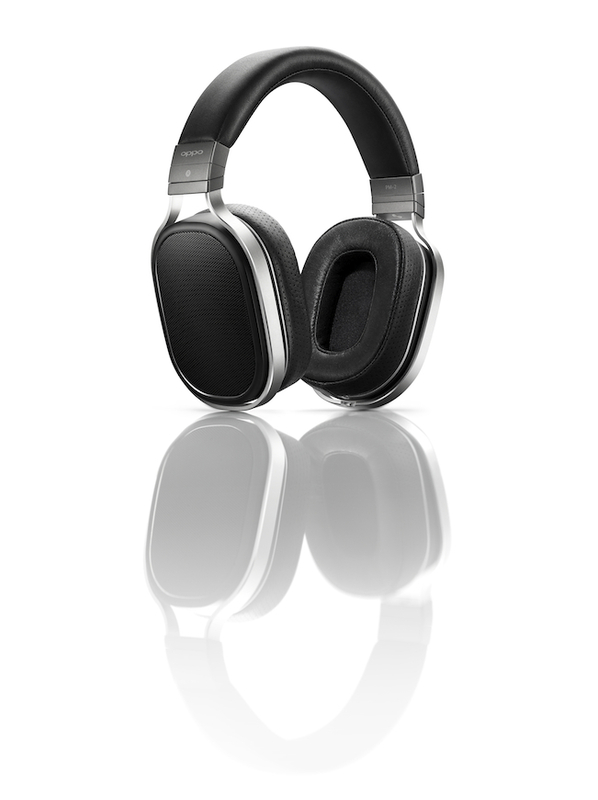 In recent years we have seen the rise in popularity of a headphone design known as the planar magnetic design. These headphones use a plastic film usually with metallic traces on it and surrounded by powerful magnets. When the metallic traces are energized by an electric signal from the headphone amplifier, the film vibrates to create sound. Most planar headphones are inefficient, heavy, large, and expensive, but known for their excellent sound quality typified by precise soundstage placement, at least until now. I grew up with Magneplanar speakers, so I was familiar with their audio footprint and goals, but they were always a niche product. The late lamented, scandal-ridden Monsoon speakers from Canada were another attempt at creating an affordable planar for the desktop. Monsoon still has a strong following to this day despite the inglorious end of the company, and I have my own set in my office to this day, with some damaged ribbons, but even then a reminder of the open, airy sound planar's are known for. Ok, so that recaps our previous review. Why restate it? Because it all applies to the PM-2, the lower priced version of the PM-1. Oppo Digital, the respected manufacturer of award winning Blu-ray decks, has entered the fray with a new line of personal audio products, the first of which is the newly released PM-1 Planar Magnetic Headphones, followed by the HA-1 Class A Headphone Amp/DAC. The word that Oppo, champion of class act yet affordable audio gear was working on a set of headphones set the audiophile world abuzz, and almost at the same time as the PM-1 was announced, Oppo announced a more affordable version named the PM-2. Featuring the same drivers, but with some changes from cosmetic metal parts to high-quality plastic. The PM-2's are essentially the same headphones as the PM-1, well… kind of. We will explain those differences later on. Anyway, the rumors are over, early in the summer, after three years of development, beta testing, and more testing and refinement, Oppo began shipping the finished PM-1 Planar Magnetic Headphones, a high-end, luxury branded product that breaks new ground in performance, fit and finish, and sound quality. At $1,099 they were aimed at the serious audiophile, and even at that lofty price point are actually a bargain compared to their competition. I’ve been working with them several months now, listening to just about every variety of music, with differing DACs and amplifiers and in all cases, the PM-1 surpassed my expectations, revealing nuances to music that I felt I already knew well. $1,099 is a lot of money, even in the rarefied world of audiophiles run amok. So, just after Oppo released the PM-1, they revealed that in the near future a less expensive version, the PM-2 would be slated to ship with the same transducers, but forgoing some of the luxury metal parts and features in favor or higher yields high-quality plastic for some parts. I was lucky enough to be able to view and listen to a prototype of the PM-1 and the HA-1 headphone amplifier during the Consumer Electronic Show in Las Vegas in January 2014, where Jason Liao and Igor Levitsky showed me their new babies. Along with John Mulhern III, we listened to the PM-1 using an Astell & Kern player. Levitsky commented on several design challenges he was concerned with, from creating an open and musical sound quality to insisting on high-efficiency so the headphones would work well with a variety of hardware driving them, to wanting them to be neutral yet not sterile. From Liao’s point of view, one of the largest challenges was actual production. The quality level they were aiming at meant that a very limited set of suppliers would actually be able to produce product at such a high standard of quality. One reason for the higher cost of the PM-1 is the rejection rate for finished parts and components, especially for cosmetic flaws. Thus, the replacement of some of those expensive pesky parts with plastic allowed the price to come down, and for production to be normalized to compete with much wider-range of products. Oppo has addressed this in part with the PM-2 headphones, which use the same transducers, but do away with some of the ultra-luxurious touches such as the calfskin ear pads, the cherry wood case, and some metal components, in favor of precision plastics to lower the price significantly, but the expectation was that the audio signature would be very similar to the PM-1. It turns out that the expectation of the audio signature being identical to the PM-1 has shifted a bit over time. After shipping the PM-2s, customers and reviewers voiced a desire for a bit more pronounced high-end. How to accomplish this? Earpads it turns out. While there are some slightly different damping used in the PM-2, the increased high-end output is due largely to the newly designed earpads. One change between the PM-2 and PM-1 is the use of synthetic leather, instead of calfskin, but that doesn’t account for the different frequency response. It is the design and composition of the earpads to tailor the new response curve. I was surprised that changes in earpads would have such an effect, especially since my assumption is that the path between the transducer and the ear canal is pretty much a straight shot, so I wondered how much difference, really, could pads make? Well, it turns out quite a bit. So much so that now they have a third set of pads for the owners of the original PM-1’s, which provide the new voicing to them as well. It’s worth noting that Oppo is providing the new “Alternative” pads to PM-1 owners for free, no additional cost. Can you imagine other companies doing this proactively on behalf of their customers? Confirming once again the positive spirit of customer service that Oppo has earned such exemplary marks for. Skipping the PM-1’s luxurious cherry wood box, the PM-2s ship with the same cloth selvedge denim carrying case as the PM-1s. Two cables are included, a primary cable that is beautifully made with a substantial cloth covered OFC cable, and a short OFC 3.5mm mini-jack cable that terminates in a mini-jack plug, perfect for use with most portable devices and music players. All fittings are solid and well designed, with the gravitas that a product of this caliber deserves. The cables have small mono mini-jacks that go into each side of the headphones, with L & R indicators. I tested the PM-2’s with a series of USB powered DACs, such as the AudioEngine D3 and the Korg DAC 100m, as well as some Samsung phones, iPods, and computers. This is an important consideration since the PM-1 and PM-2’s are the first planar design we have ever used that is so efficient they can be used with your phone, or computer, all without so much as a hiccup. The copper in the standard and mini-jack cables is high-quality OFC (oxygen-free copper). I was curious about mixing up the cables, since they appear almost identical, and it turns out that a careful look at the inside of the plug reveals either OFC or OCC! Whereas more marketing driven companies might change the color of the cable, or have a snazzy label, in typical understated Oppo fashion the only indication is almost hidden, as one would expect of an engineering driving company. I did compare the sound of the PM-2 with the supplied OFC cable vs. the higher-end OCC cable that shipped with the PM-1, and as hard as I tried, I couldn’t really ascertain a difference, so from my point-of-view, the PM-2 with the standard OFC cable is the audio equal of the PM-1, and while some amps might interact differently with the OCC cable, in my testing, there wasn’t a difference that I could detect, so I feel absolutely comfortable with the included OFC cable, with no sense that I needed to upgrade to the OCC for better sound. How to typify the sound? To my ears, as well as to my friends and colleagues who listened to the PM-2s were all in agreement that the sound was superb, similar to the PM-1’s. The sound footprint is effortless, subtle, and neutral, but with a bit of warmth and a believable musicality. At no time did I "hear" the headphones or technology; they simply moved out of the way so that my experience was of listening to music, not technology. The new PM-2s do have a slightly different sound, from either the new pads, damping, or a combination of both I’m not sure, but they do exhibit slightly more air on the high-end. But this is subtle, not like someone turned up the treble knob, but a very subtle bit of air. When the PM-1’s came out, the general consensus was that folks seem to have felt that they needed 50 hours of so of break-in to open up their bass response, but from my notes, I really didn’t notice a difference, and given the impossibility of accurately ascertaining the sound quality between new and broken-in, I tend to chalk that up to psycho-acoustics as much as anything tangible, and I didn't have a new set with no use to compare new vs. used, to ascertain any difference, which would seem the only accurate way to actually judge this. Memory is tricky, and since few of us can remember what something sounded like a week ago, trying to actually say that break-in changed something physical is a tough prove. So, having the PM-2’s at hand, I tried them against the PM-1’s, swapped out earpads, and what I discovered is that I don’t think there was any significant difference between them new, and broken in. This isn’t to say that I didn’t hear a difference the more I used them, but what I discovered is that I think what some folks attribute to break-in of the transducer in my case seemed a break-in of the earpads! I have to admit to recommending to Oppo some sort of way to differentiate the various earpad offerings. For the PM-2, there is one standard pad, the synthetic leather model, with the slightly increased high-end response. For the PM-1, there is the standard calfskin earpad, a velour earpad, and the newly introduced Alternative Calfskin with the enhanced high-end response. Because they all fit both sets of phones, I pretty much drove myself nuts swapping them out and trying to hear a difference. Did I have a favorite? Not really. For music that was recorded with a hot high-end, the standard pads were my favorites, for classical and jazz, either the PM-1 Alternative Pads, or the PM-2 with their standard pads seemed best. But… I do want to caution this commentary. I was perfectly happy with any of the pads and felt the PM-1 and PM-2 both sounded wonderful, a perfectly balanced audio footprint, relaxed, gentle, yet able to handle a hard hit on a snare without a hint of color. For $699 the PM-2 is nothing short of amazing. Like the PM-1’s, the PM-2’s loved being driven by a serious amp, and my favorites were either the Oppo HA-1, or the BDP-105’s built in amp. In most respects writing about the PM-2 is the same as writing about the PM-1. Many of the planar designs I've used seem very demanding of the amplifier employed, but the PM-2s are nowhere near that finicky. I did find a richer, fuller sound with higher output sources, such as the BDP-105, so I think that when paired with a dedicated high quality headphone amp, these phones will really hit their peak. My tests with HA-1 and the PM-2s revealed an incredibly substantial soundstage and attack, so I suspect that there will be a unique synergy when the PM-1s are paired with users’ existing amps. The finished PM-2s have the same extraordinary quality one would expect at this price point; with the exception of the PM-1, I don't think I’ve ever worn a more comfortable headphone in my life. Lighter maybe, flashier yes, but these are comfortable after hours of use, consistently cool, and effortless to use and wear. There wasn’t a stitch on the ear pads that was out of place, not so much as a smudge on the finish of the plastic components on the headphone band and associated parts. A look at the transducer revealed the intricate and inherently complex design, yet it wasn’t really necessary. What was necessary was to listen to music, not equipment, but music. I used Decibel, Pure Music, and Amarra to test the PM-2’s with, all of which worked splendidly with the DACs I employed. I’ve never been a bling guy unless you count matte black as blingy! So, I actually prefer the matte finish of the cosmetic components of the PM-2’s. I did miss the calfskin headband and earpads a bit, since they are as soft as this side of heaven. Not to worry, the synthetic leather is soft, supple, and well ventilated, and the craftsmanship is first-rate. Aesthetically, the somewhat muted dark gray components, lend a serious feel and look to the PM-2’s, which suited me just fine. Like the PM-1, you are holding a fully finalized and finished production statement, setting them apart from many an “Audiophile” headphone from a small boutique manufacturer, whose products typically somehow feel a step or two off the test bench. The PM-2s have no flaws that we could discern. I used the same source material I used with the PM-1’s reviews, and the family lineage was evident. Throw the hard sharp metallic drum whack from Keith Richards first solo album, Talk is Cheap, at the PM-2s and you can feel the drum sticks hammering the skins. Punching rock and roll at them revealed a headphone that loved being driven hard, hard enough to make me feel almost as if I passed out under a snare drum. Content like this really took off when I switched to the HA-1 whose Class A bottom end seemed, well… bottomless; it seemed almost impossible to overdrive them without causing hearing loss. Switching to Beck’s 2002’s Sea Change and 2014’s Morning Phase, using high-resolution files from HD Tracks, the PM-2s’ subtle attention to nuance, made the thwack of the drum stick I’d heard on Talk is Cheap seem miles away. Could these really be the same headphones? What I found most interesting was that as much as I’ve listened to the HD Tracks version of Sea Change was what I was not hearing. Any good system will reveal the aching beauty of that album, but the PM-2s sort of stepped back a bit, allowing the overtones to mix anew, with a newfound air in the high-end. On the HD Tracks version of the newly released Morning Phase, a new recording with intentional distortions, I expected to hear dramatic changes in texture, assuming that the decade of technology improvements in recording would reveal themselves, but instead what the PM-2s revealed was a more mature, possibly less optimistic, wearied voice. What I didn’t hear was the headphones. Just for fun I switched to some old favorite headphones and was astounded at how sterile and tiring they felt. Back to the PM-2s and it was clear my observation wasn’t a fluke. The PM-2s made Beck’s voice sound like a voice, not an approximation. Switching between the PM-1 and PM-2 was an exercise in subtle differences and I think the reviews that state there is a huge difference between them are exaggerating any differences, it was that subtle. This is not to say that they soothe over the bumps without notice. Last year when we reviewed the recent Van Morrison Moondance remaster series from HD Tracks, we expressed some surprise at the album’s sound quality after this long-awaited remastering project, and while that album has never sounded better than as through the PM-2’s especially with the slight boot at the high-end, they also revealed the limitations of that decade-old remastering job compared with the newer mastering employed on the unknown tracks remastered and released for the first time last year. With the right source material, and amplifier, these are revelatory headphones. When I wrote the PM-1 review, the newly remastered releases of the first three Led Zeppelin albums had just arrived from HD Tracks, revealing the strengths and weaknesses of the new versions. HD Tracks kindly supplied me with the high-resolution 96/24 bit Deluxe releases, which contained a mix of sampling rates, from 44/24, 48/24, in addition to the 96/24 rate for the majority of the tracks. The dynamic range seemed fine, not quite as much as the original CD release, but much better than some recent versions. The new versions feature some interesting extras, including a live concert recorded at the start of the bands formation with just a bit better than bootleg quality, but fun nonetheless, and various mixes, but I was curious how the PM-2s would handle the blues based bombast the first three albums introduced. Jimmy Page is known for talking about the fact that after having been the veteran of hundreds of studio recordings, he knew what he wanted, and didn’t want in their records, and expected studios to deliver high-quality audio quality. With the PM-2’s have a slightly higher end response, it’s a subtle increase, and I wondered if the already somewhat brittle high-end that Zeppelin’s manic cymbal crashing is known for inducing would be a bit wearing and tiring, but the PM-2’s were lovely, and if anything the new earpads gave those cymbals more room to breathe. As is our standard testing cycle, we love putting headphones through Chesky Records “The Ultimate Headphone Demonstration Disc” revealing in its high-resolution impeccably mic’d audio, varied and sterling performances. Similar to the PM-1s, the PM-2’s handled the demanding audio tests with ease. And they can handle the bottom end of John Paul Jones, Jimmy Page’s searing guitar work, John Bonham’s not so gentle smashing of drumheads, and Robert Plant’s vocals which range from almost guttural to falsetto without breaking a sweat. The punch of the drums is there, as well as air in the room. The new versions certainly reveal that the PM-2 can rock and roll, as well as handle the gentle nuances of classical and jazz content. Another couple of strong titles from HD Tracks proved exemplary in tracking the bass response of the PM-2’s. Joni Mitchell’s Mingus is a wonderful, somewhat eccentric tribute to the great bassist, Charles Mingus. Coupling the PM-2’s with the HA-1, the high-resolution transfers are just a revelation. The vibration of the lower register strings is absolutely believable, and Mitchell’s vocals swing between the hipster relaxation of a private jazz party, to late night exhaustion of an after-hours jazz club, closed to the public, but weary nonetheless. Back to the PM-2s vaunted efficiency. They worked well with my MacBook Pro, new DACs such as the new Korg DS-DAC-100M, the AudioEngine D3, and the Oppo BDP-105 headphone amp. In all cases, they drove the headphones splendidly, which was a really pleasant affirmation that nothing has really changed from the PM-1 in this area. To be honest, while the PM series were described as efficient, I really didn’t expect them to perform as well as they did with all those different sources, especially USB-bus powered DACs which must live with the limitations imposed by the USB 2 500-milliamp current limit specification. But, pushed hard enough these USB powered DACs showed a bit of strain, so while handy on the road, they can’t take the place of a dedicated AC powered amp. As you might expect, they were identical in efficiency to the PM-1, which is to say exemplary. Suffice it to say, the PM-2s are so good that given a solid amplifier that they come into their own, and reveal the voicing that Levitsky was aiming for, albeit this time with a bit more air. On a recent overseas trip to Bulgaria I was faced with the question of what headphones or earphones to bring for the hours of travel strapped into a plane, or stuck at an airport, bus, or train. Normally my first-choice are noise-cancelling units from Audio-Technica, they reduce ambient noise, sound great, and are hassle free. This time, I actually made the decision to bring the Oppo PM-2’s something I would normally never do, lest any damage or loss occur from the dings of travel. But, I did want my colleague John Demos to hear the new models, so bring them I did. Due to their portability the selvedge denim carrying case was actually smaller then my Audio-Technica headphones and they easily fit into my carry on luggage. Best of all, it provided me with hours (and hours…) of uninterrupted time with them, albeit in a less then ideal environment. But 8 hours of catching up on work, as well as cinematic masterpieces that I wouldn’t pay for at a theater but were available on the flights gave me a sense of their comfort for extended use. In one moment that I thought fantastic, but my seatmates thought white-knuckled, I was watching the new Godzilla movie, when seismic activity shakes the nuclear reactor, and at the same time the flight experienced sudden serious flight turbulence. For me, it was the ultimate marriage of movie, special effects, great audio, and finally my seat was shaking almost in time with the seismic activity! All through it, the Oppo PM-2s, were comfortable, and I stayed on my head, no shifting, yet with no extra pressure either. I was able to audition the PM-2’s with John Demos using the AudioEngine D3 24 Bit DAC. John had just participated in a Can Jam in Athens, so very aware of the state of the art in headphone design. Although his latest favorites were some very high-priced electrostatic models, like me he found the PM-2s a warm, comfortable, accurate audio experience, smooth and delicate. That I was able to use them on plane with the armrest audio jack, as well as a portable AudioEngine D3 DAC, and Oppo Class A HA-1 amp and DAC, is a testament to their versatility and quality. In response to consumer requests Oppo introduced an optional longer mini-jack cable (1.8m vs. the supplied 1.1m cable), which I used as well, and is perfect if one wants a bit more length. After listening to the Oppo PM-2 Planar Magnetic Headphones with a variety of music, DACs, cables, amplifiers, and music players, we feel it is among the highest quality headphones we have ever listened to. From the exquisitely comfortable fit, to the variety of high-quality cables, ear pads, and accessories, to the uniformly superb fit and finish for every square-inch, the PM-2s are quite simply among the best headphones we have ever used, bested only in one area by the PM-1’s, and that was cosmetics and luxury. But our emphasis has always been superb audio first, quality of build second, and value third. In each of these areas, the PM-2’s are clearly the headphones to beat. The PM-1’s are like a bottle of 30-year-old Lagavulin and the PM-2s a bottle of 16-year-old Lagavulin. Both are among the finest Scotches in the world, and the only difference is tiny bit of luxury. I rank the PM-1 and PM-2 the same way. If you are considering a set of superb high-end headphones at an affordable price, then the Oppo PM-2 Planar Magnetic Headphones come highly recommended!